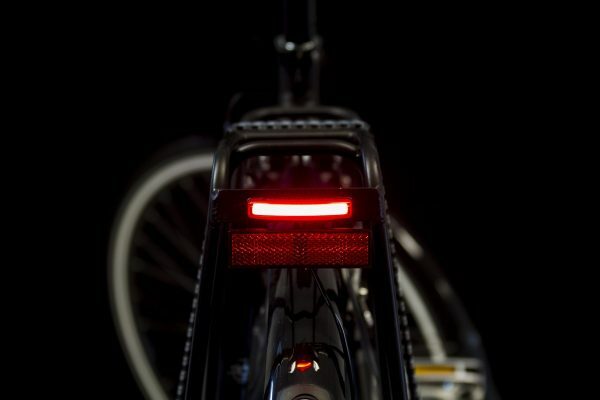 technology, this high-performance rearlight gives an extremely bright power beam towards the back and the sides, while keeping ultra-compact dimensions. 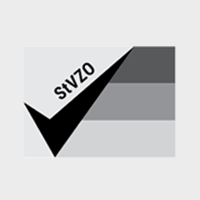 Embracing minimalism does not mean at all that its design is any less creative. 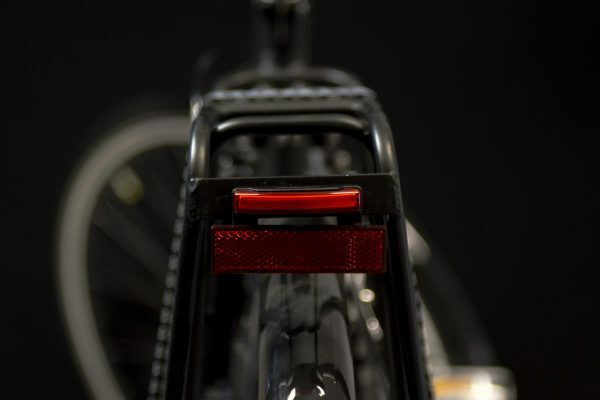 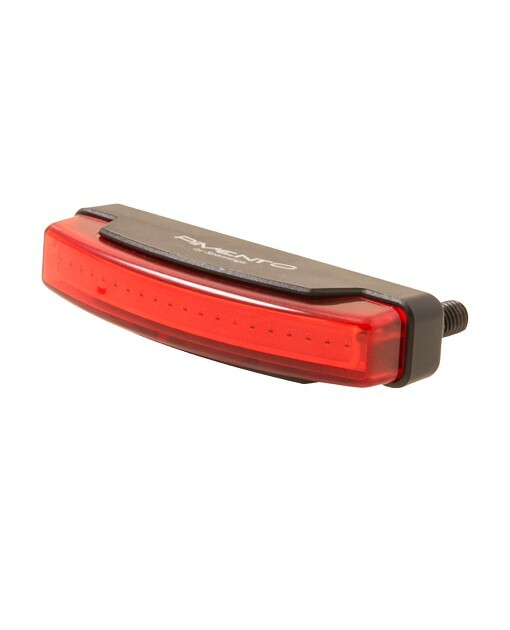 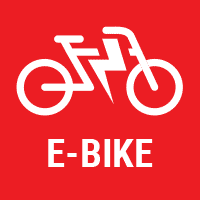 The curved shape of its optics is made possible thanks to the bendable and efficient COB LED, and allows it to fit perfectly and stylishly with compact carriers in order to add some spicy touch to modern bicycles. 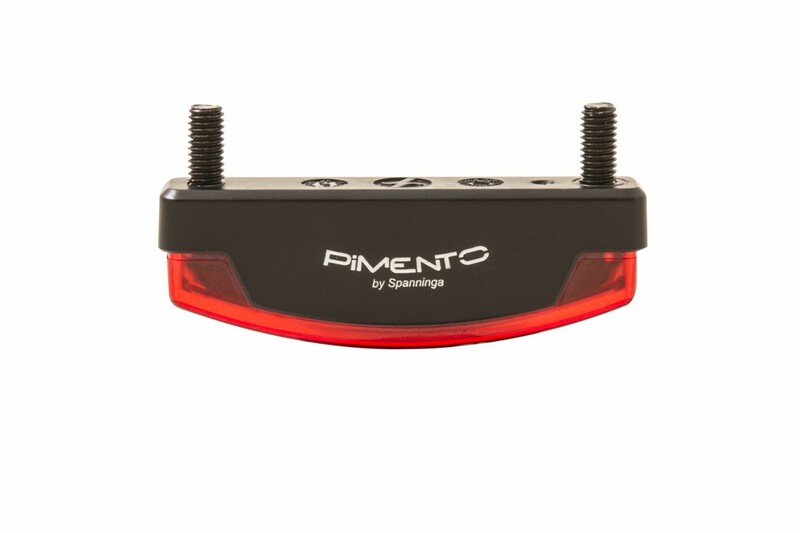 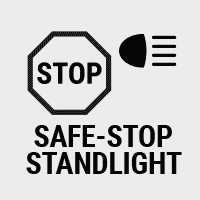 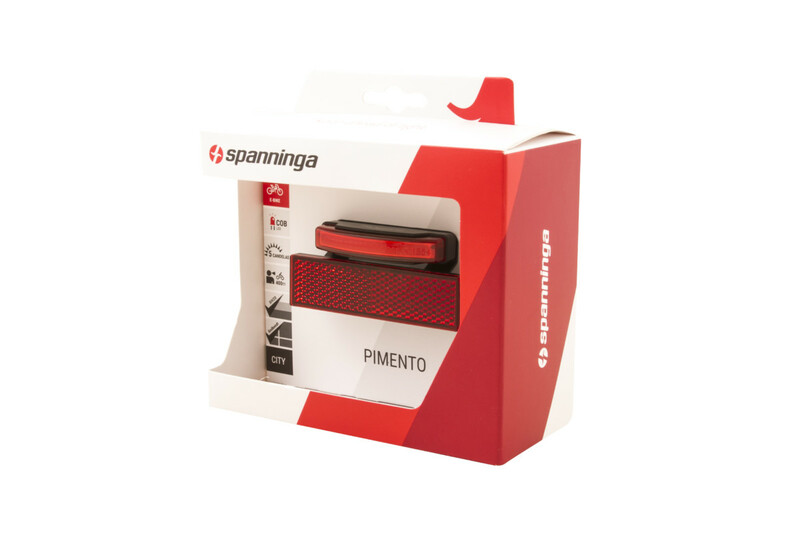 The dynamo version of the PIMENTO is also equipped with the Safe-Stop function. 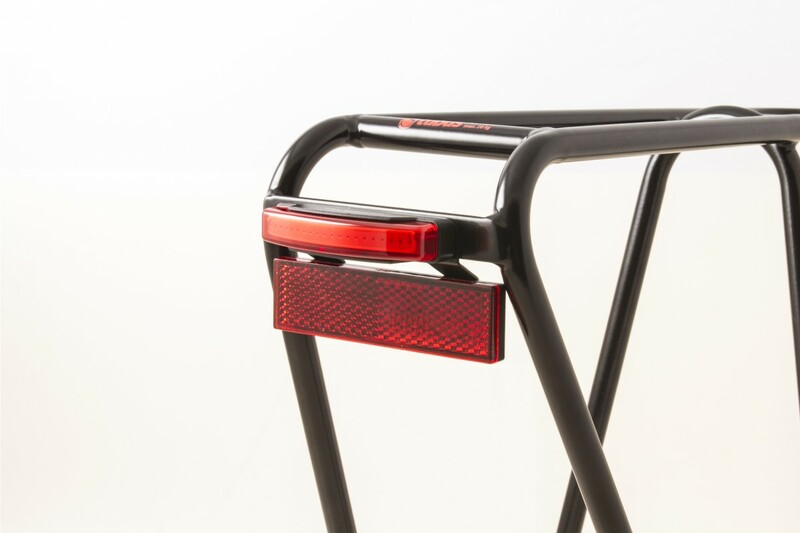 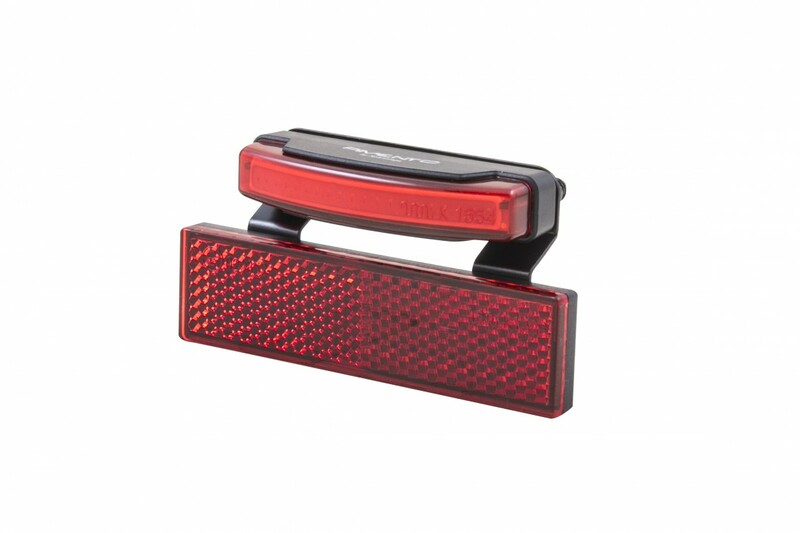 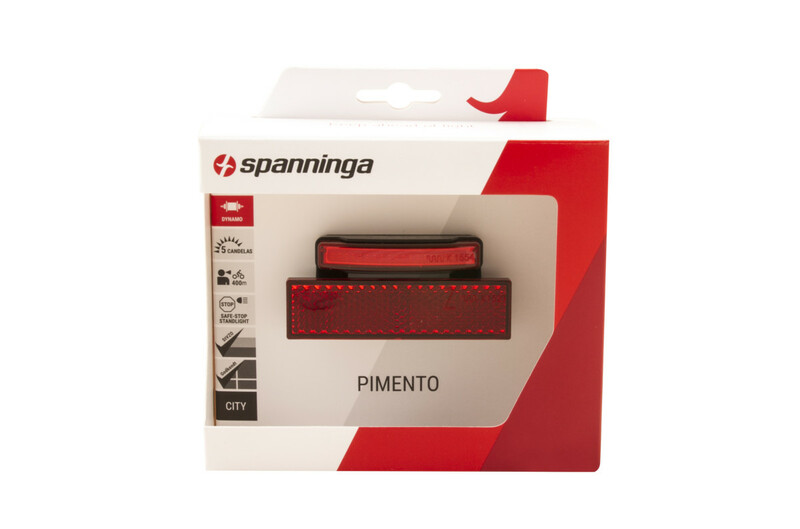 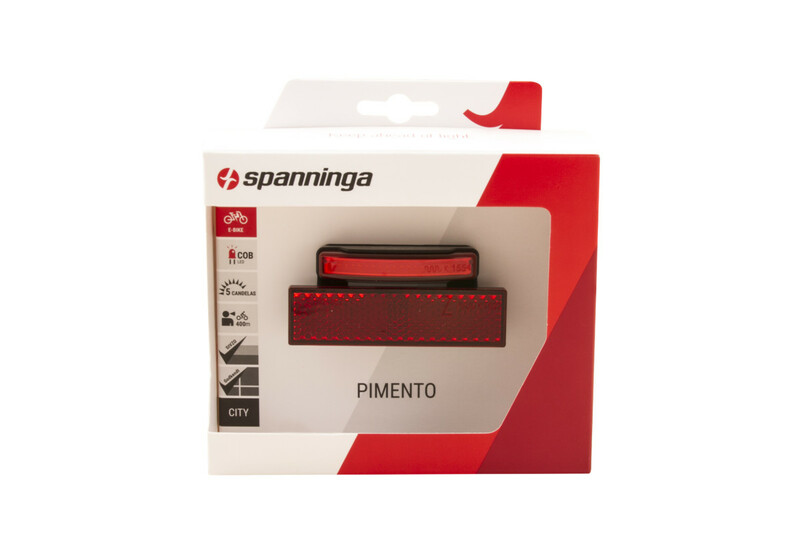 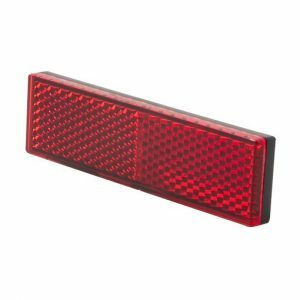 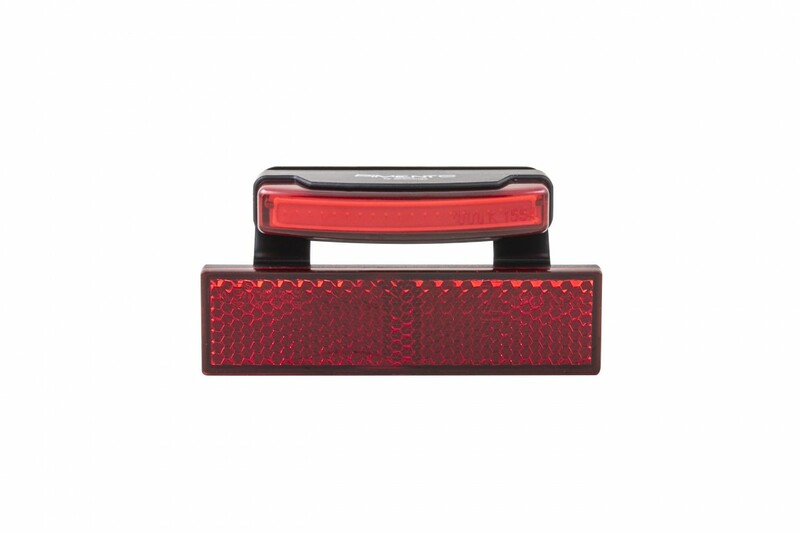 And to increase even more traffic safety, the PIMENTO-CARRIER is to be combined with rear reflectors RR01 or RR02 together with the BR 06 adaptor. 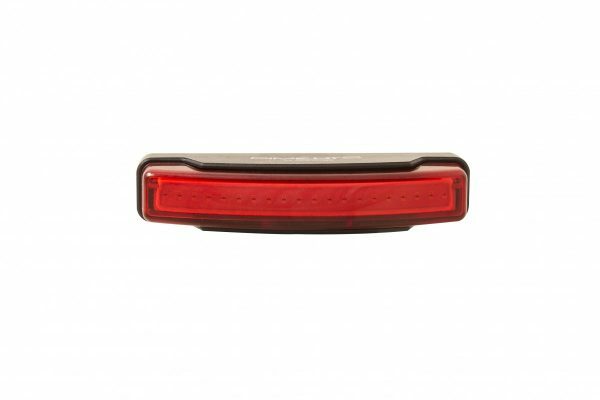 The COB LED technology featured in the PIMENTO rearlight provides a strong illumination visible from afar and from all sides, keeping traffic at distance. 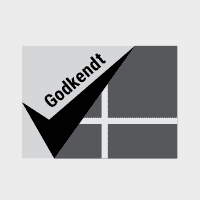 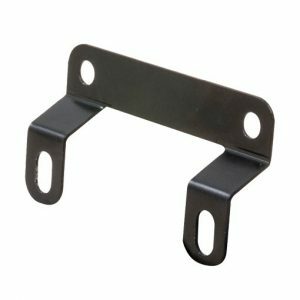 Its extremely compact design allows it to weight only 16g. 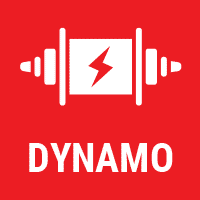 * The dynamo version of the Pimento should be connected to the dynamo via the headlamp.